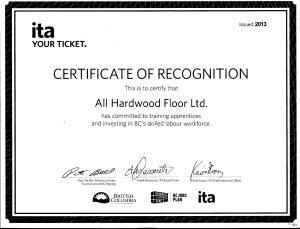 AHF hardwood floor refinishing and installations serving the Vancouver BC lower mainland. 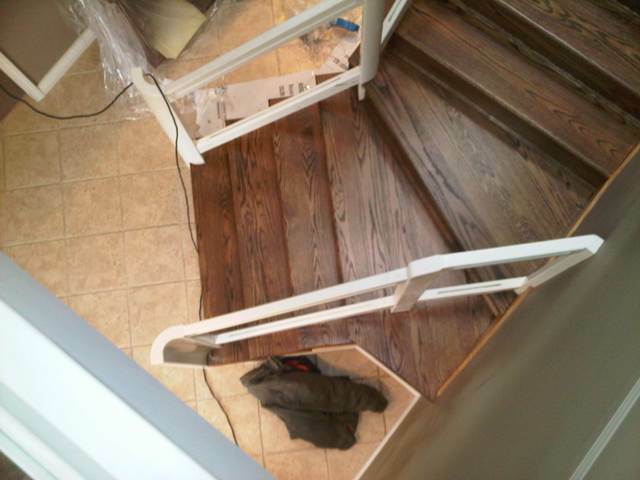 Pre made template made red oak solid stair treads are select grade and finished in antique brown with AHF's special staining method allowing for full penetration of the oil based stain. 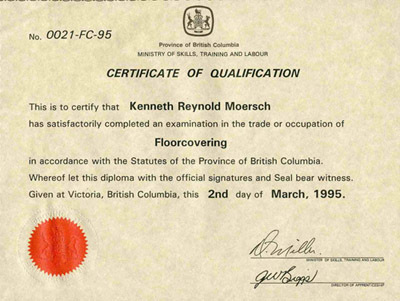 The finish is Glitsa gold seal Swedish, a conversion varnish acid curing finish coating know to be the best for its look and durability has the ability to conceal scratching over the life as it wears. The ultimate 60's home up grade. 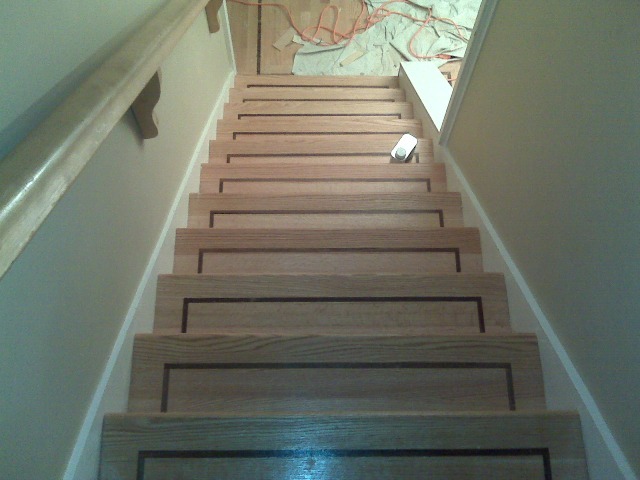 This is a custom ordered inch and three quarters face width tongue and groove from Accra, This red oak rift and quarter sawn is of matching colors scheme to the flooring everywhere else in the home the old inch and three quarter top nailed strip flooring with the triple feature border.AHF made these stairs with matching bull nosing by pre assembling with clamps backing and glue then pre sanded the treads, Skirting panels are 550 dollars per side in rift sawn skirting 13 feet long. 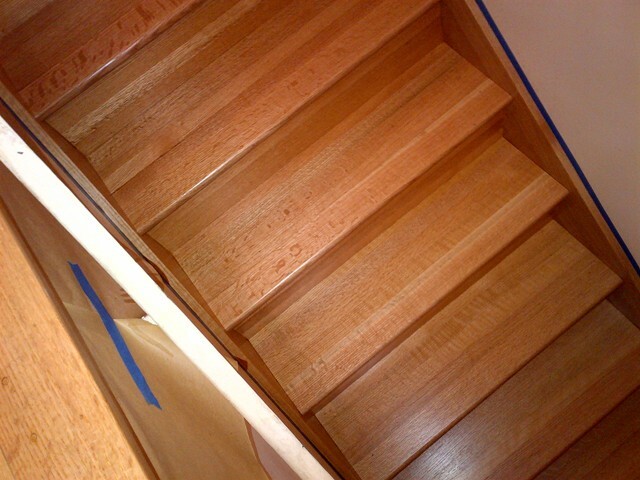 Custom hardwood stairs set featuring rift sawn red oak hand picked pre assembled and pre sanded stair treads. 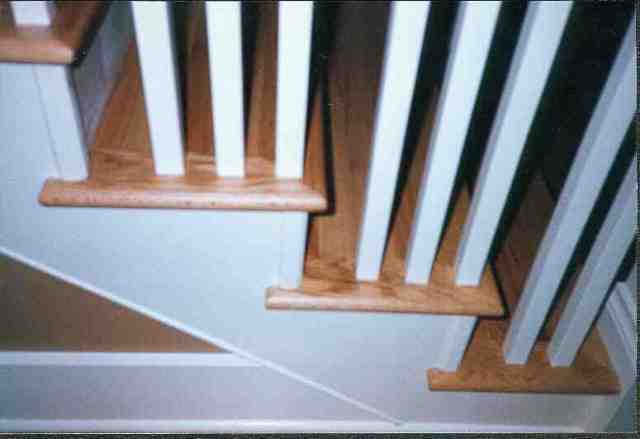 White painted Risers and Skirting, Finish is Glitsa coffee custom mixed / custom staining procedure for maximum wood surface depth penetration and submerged in Glitsa Gold seal Matte finish to last a life time. 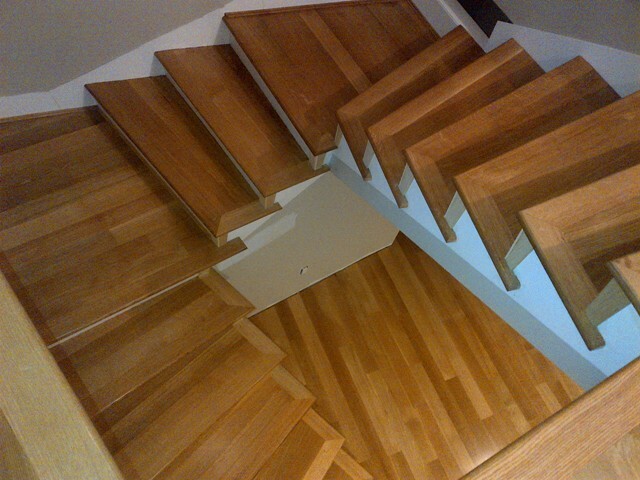 Really interesting stairs set build in Rift and Quarter sawn White Oak, The 4inch wide solid custom ordered wood flooring is of exceptional quality, The color match is very consistent and uniform large hard rays in the grain shown off well by the Glitsa gold seal semi gloss, the natural color of white oak is produced by the tannin a natural oil in the wood itself. 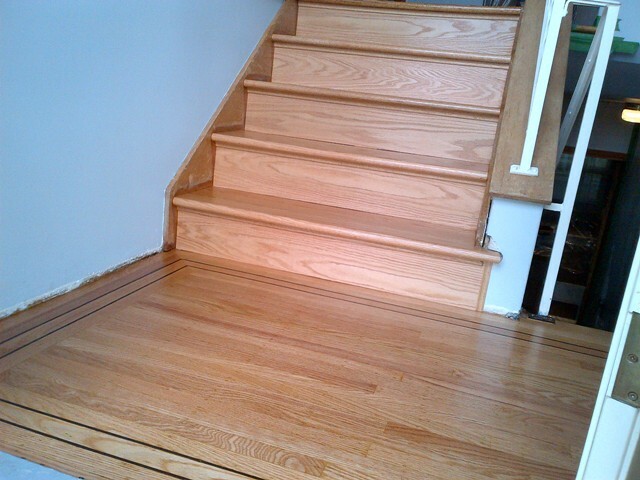 An easy upgrade to any 50's home is to rip out those old squeaky fir stair treads and replace them with a real solid matching red oak stair treads that match the older style oak top nailed strip hardwood flooring such as what is seen here in this foyer entry way shot from this beautiful South Coquitlam Home. 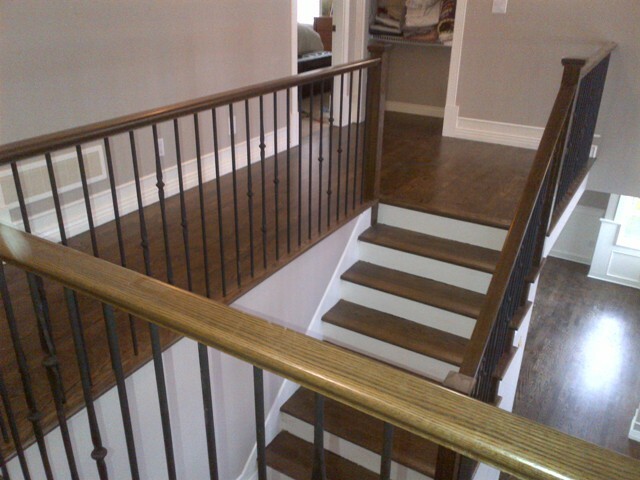 The stairway in most homes is never covered up and as such this can create an opportunity for distraction to the focal point in your home the staircase ! 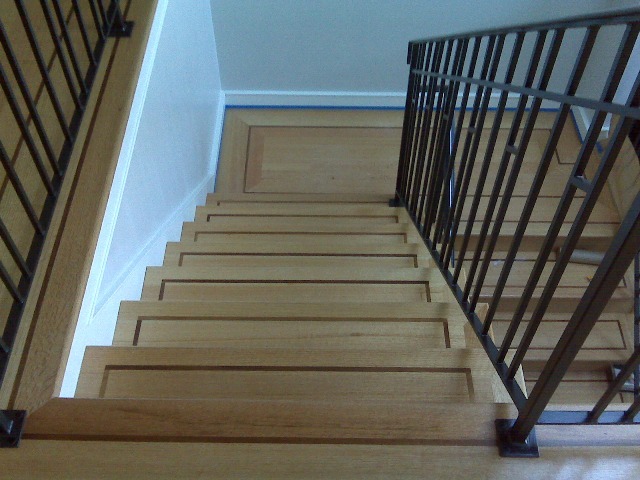 Up grade those old squeaking fir and carpeted stairs to a beautiful easy to keep visually stunning bit of fine wood working craftsmanship for your home. 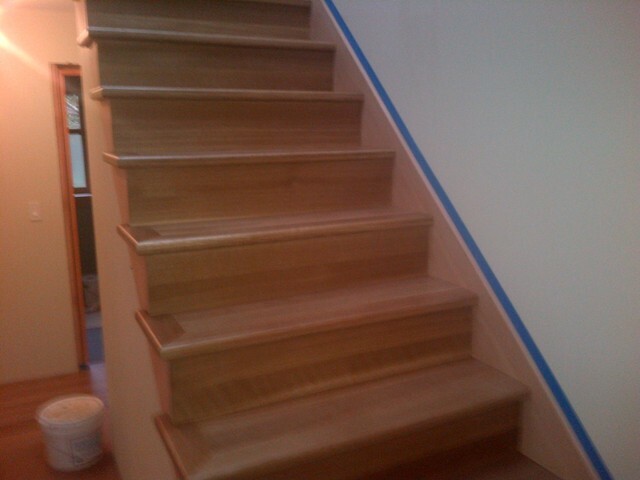 While rebuilding your stairs AHF will glue them all back together for that silent quite walk. 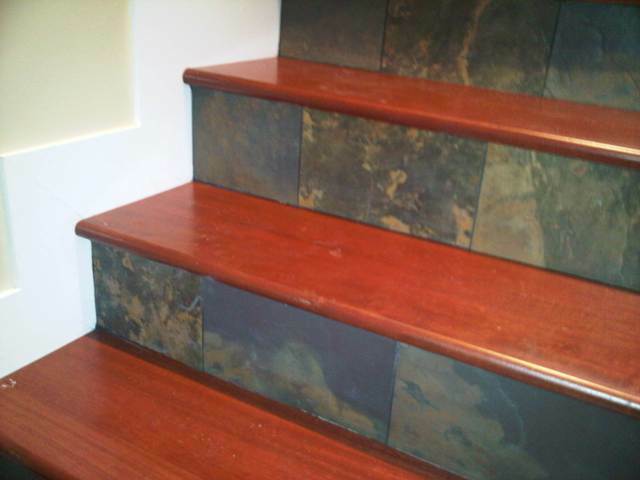 Get a quote on a custom built stair tread or stair case ! 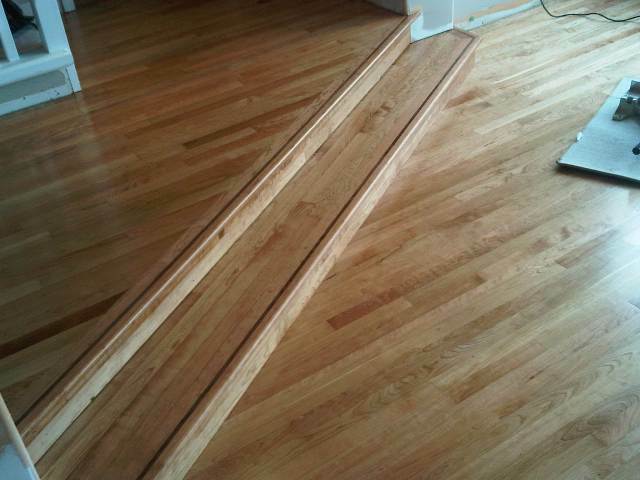 the stair treads, the stair tread is what you walk on, is the horizontal surface. 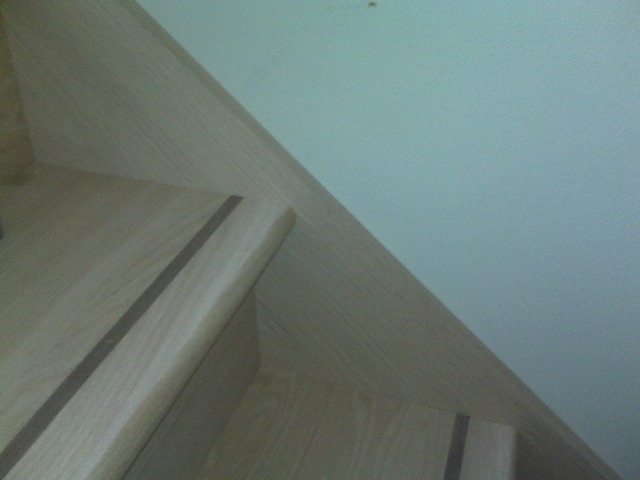 the skirting, the skirting panel is the diagonally running panel, can be made from solid rift and quartered oak hardwood and custom orders or just a white painted medium density fiber board. 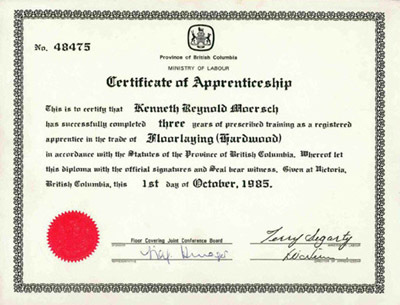 Committed to finding and training future hardwood floor layer craftsmen of BC's skilled labor workforce. 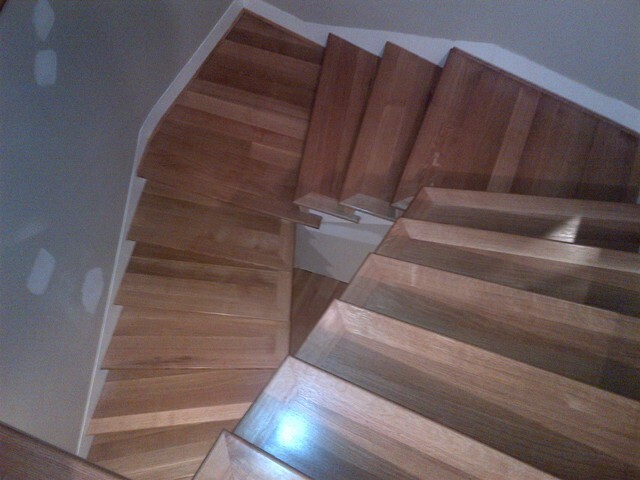 The Beauty of wooded flooring or stairs!